Hello scrappy friends! Angela here with you today with another layout featuring Beautifully Brisk collection and this week blog theme: Using Circles. 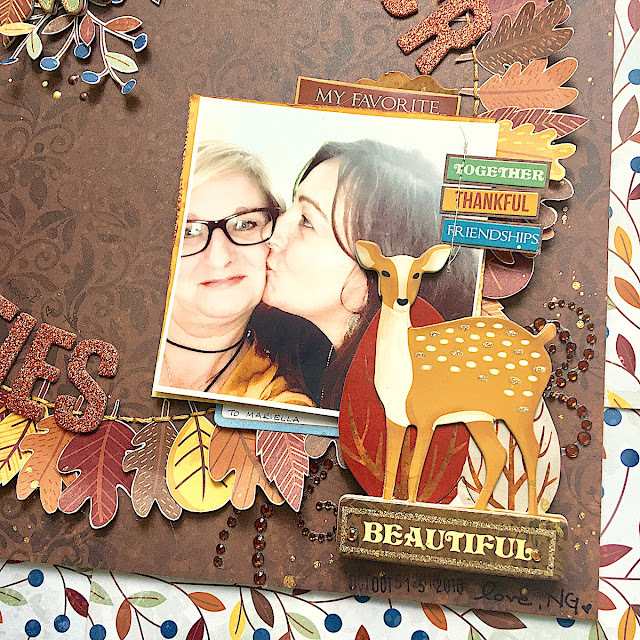 Fall is my favorite season, maybe because I was born in October as well as the sweet lady in the picture of the layout; maybe because of the goldish shades of nature in this period of the year. 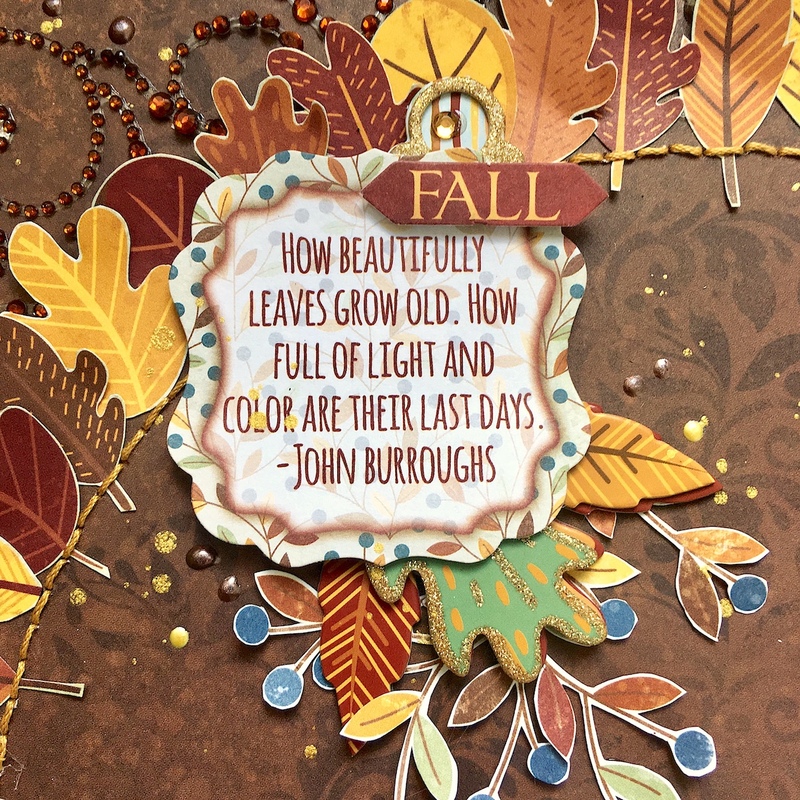 Whatever the reason, Beautifully Brisk is a jubilation of warm Fall colors. 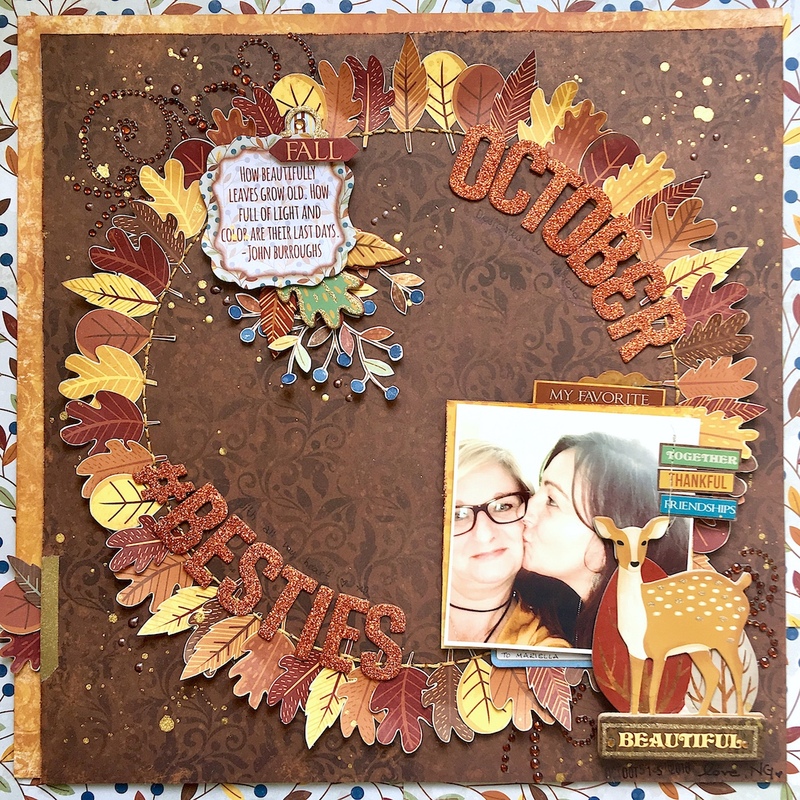 The scrapbook page I created is based on a big circle that I hand stitched in the center of the paper to make the base of a big wreath. To create the page I started from the circle that I hand stitched using an orange thread. Then, I started building the wreath. Beautifully Brisk collection has got many patterned papers perfect to fussy cut. 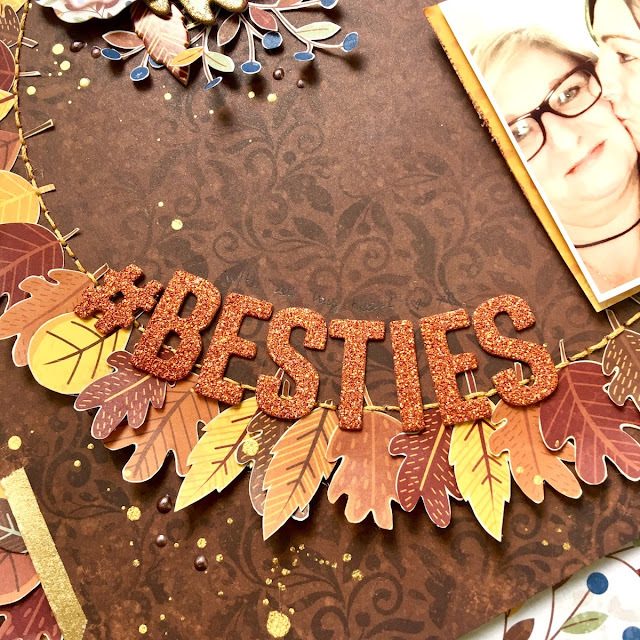 I fussy cut the leaves of the wreath from the paper called Autumn and I adhered them on the layout using my hot glue gun to save time. I placed the picture of me and my friend Mariella at the bottom right of the page, I matted the photo and stitched a few sticker words directly on it. To give brightness, I added jewels and a cute fawn chipboard with glitter accents. I used glitter letter stickers in copper color for the title and I arranged them along the stitched circle so that the words keep a round shape. As a finishing touch I splattered Gold Glimmer Spray and Chocolate Pearlescents dots all around the circle wreath. Thank you so much for stopping by. I really hope you like my page and if you'd like to give it a try, you can find the list of supplies I used here below. Love this layout! The leaf wreath is beautiful, and the way you placed the title is perfect!